Making unicorn sand slime is a totally fun experience. It can be sticky or more like flubber depending on what you add to it. 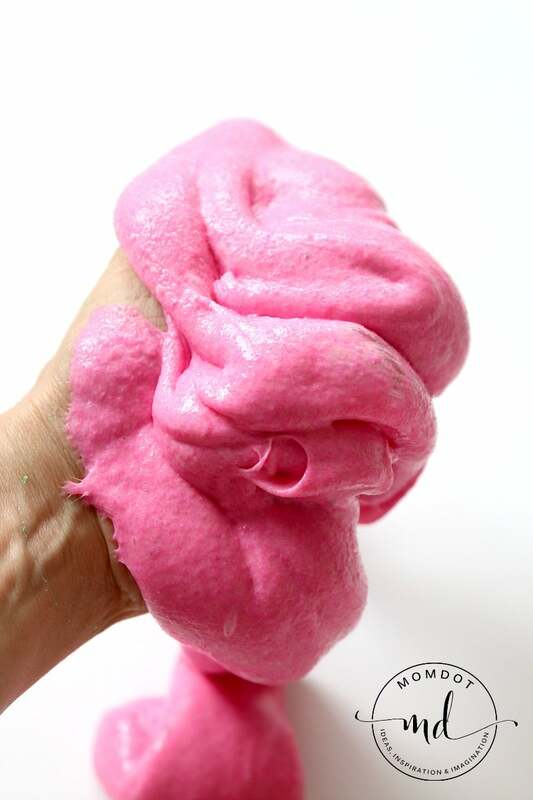 In the case of the pink sand slime, I have decided to make it more like a traditional flowing slime, just with the fine sand. It’s so easy to make this sand slime and you can combine colors to have a finished unicorn sand slime result. You can see a bit of both in this sand slime tutorial so keep reading! Let’s get started with your slime! 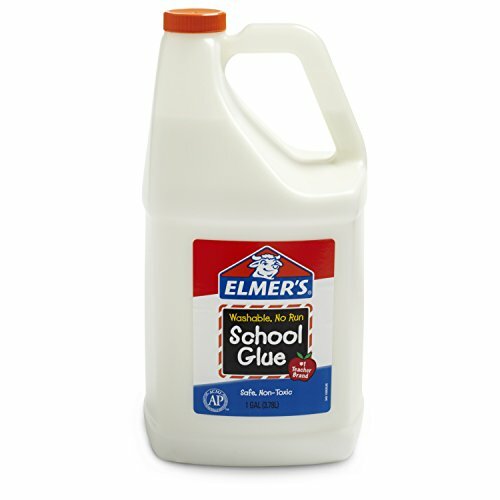 Elmers Glue : I always use GALLON SIZED GLUE. Tiny bottles do not produce a lot of slime and this is an addicting project. Go ahead and get the gallon size. You cannot find this in stores. 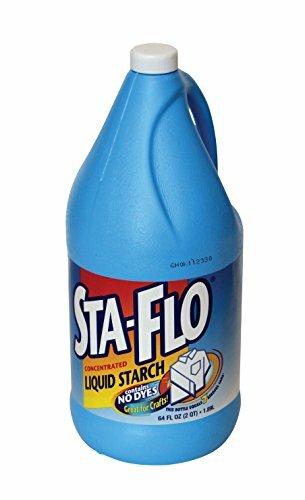 Liquid Starch – This can be impossible to find, so also better to grab online. Nothing worse than not finding it and getting frustrated. Its a trillion times better than borax. 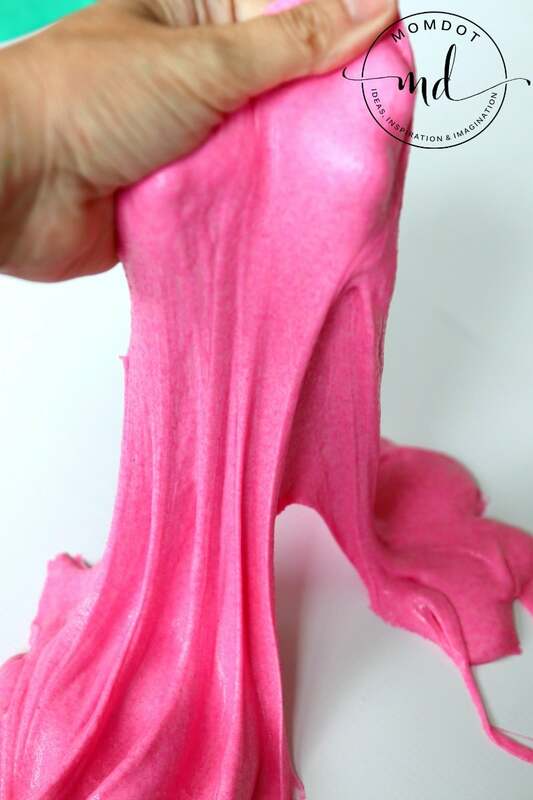 As I have explained in other slime recipes, making slime isn’t an exact science, but understanding the basics can get you on the road of a good base and you can adjust it easily to make your perfect slime. This is not a fluffy sand slime, if you want that, go to How to make Fluffy Slime here, but a sticky stringy sand slime. Because all slimes take a lot of glue, I suggest getting the gallon glue and I mean it. I start with about 2 cups of glue per color so its nice and thick. Then add your colorant. 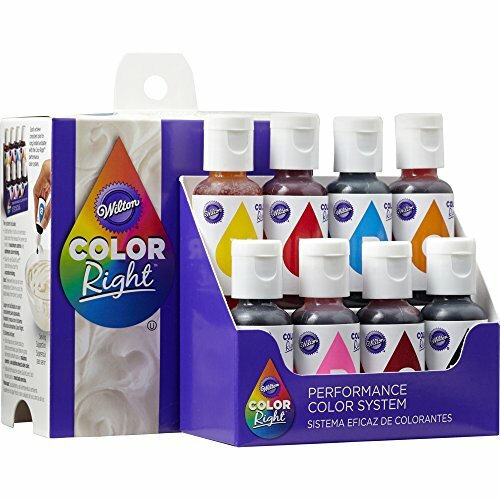 The Wilton’s colorant makes it super bright and after testing hoards of food dyes, while it cost more than some, I have found it works the best. In this sand slime, I used pink to start and also added pink fine sand . For the sand, I put about 1/2 cup and stir well before next step. Now add your liquid starch. This is something you have to sorta wing, but start with about 1/4th cup and kneed together. Your slime should form almost immediately. If its sticky, keep adding some starch or dipping into your starch till its well formed. If you need to see an idea of how this works, I have included a video below. Looking for an alternative? 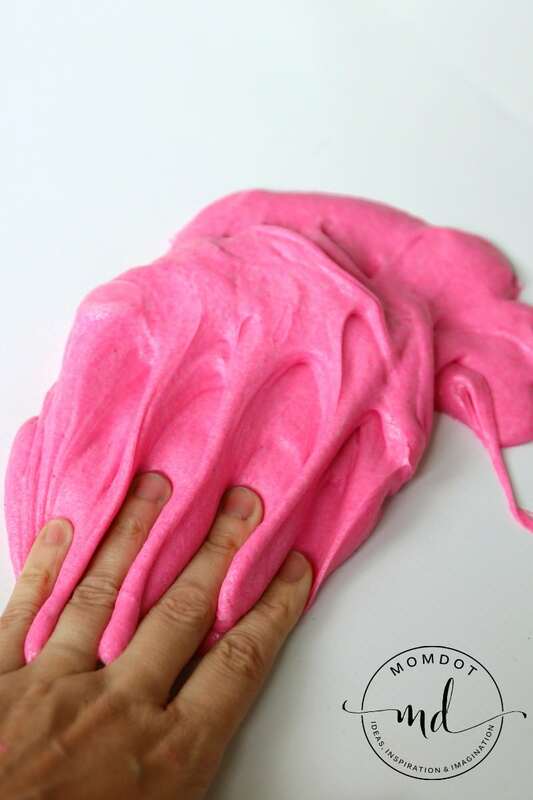 Try Kids Safe Slime in this Saline Solution Slime recipe !